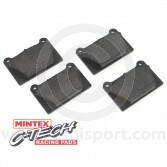 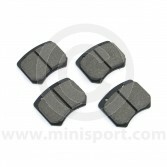 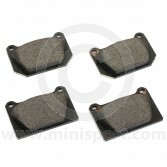  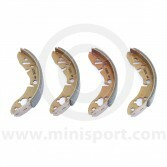 Mini Sport stock a full range of OE (original specification), EBC, Mintex and Tarok Brake Pads for use with Mini Cooper 998 7” Discs, Mini Cooper S 7.5” Discs, Mk3 Mini 8.4” Discs and Alloy 4 Pot Caliper Conversions. 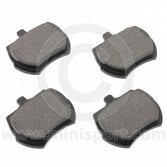 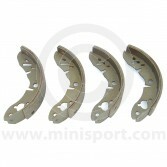 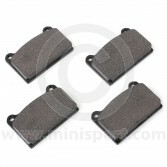 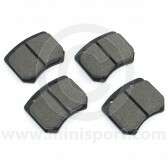 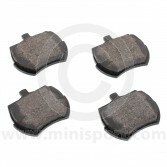 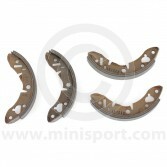 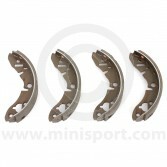 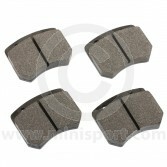 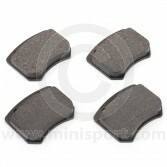 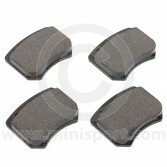 We stock brake pads for compatibility and performance on road, racetrack and rally from a range of top brands. 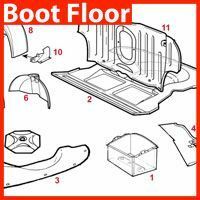 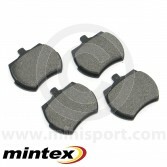 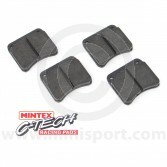 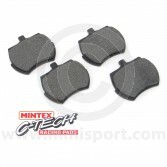 Mintex pads are available from stock as standard replacement pads, Mintex M111, M1155 on Carbon Metallic compound. 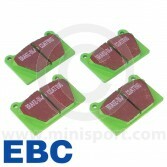 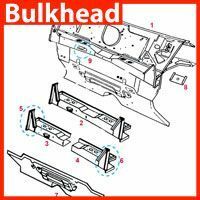 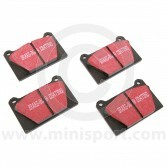 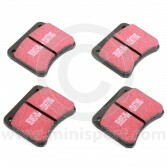 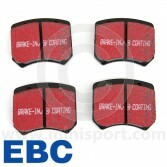 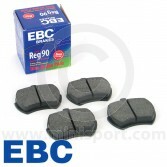 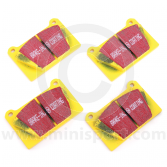 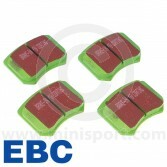 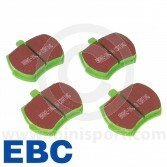 Our EBC Brake Pads are available in Black Stuff, Green Stuff, Yellow Stuff and Red stuff. 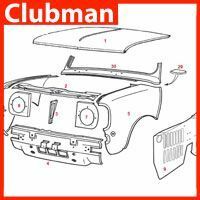 We are also suppliers of OE (original specification) and Mintex Road and Competition Brake Shoes for Classic Mini’s with Drum Brakes. 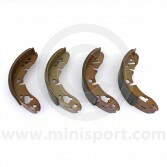 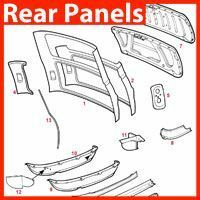 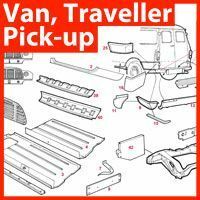 Explore our comprehensive selection of Brakes, Brake Plates & Assemblies, Brake Calipers and Brake Conversion Kits over on this area of Mini Mechanical Parts.